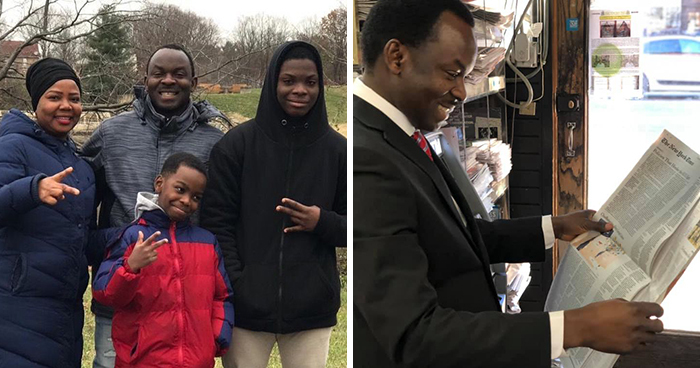 A mere two years ago, now 8-year-old Tanitoluwa Adewumi was living in Nigeria with his mother, Oluwatoyin Adewumi, father Kayode Adewumi, and an older brother. 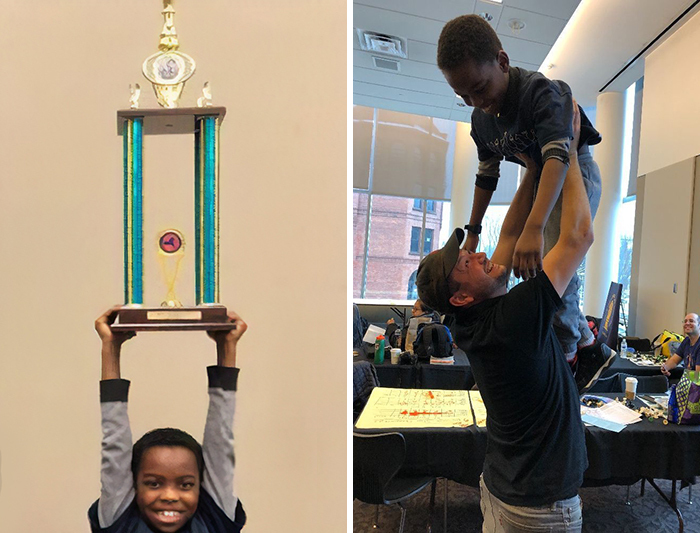 Fast forward to today, Tanitoluwa is living in the Big Apple, with a chess championship victory under his belt and has caught the attention of media outlets worldwide. 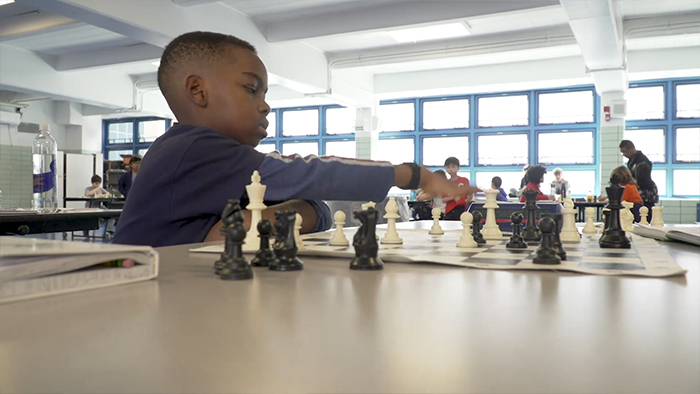 Tani, as New Yorkers call him, has been dubbed a chess prodigy, who, amazingly, started learning the game just last year but went undefeated in the NY tournament which took place last weekend. “I want to be the youngest grandmaster,” Tanitoluwa Adewumi said to the media. We’re all rooting for you, Tani! Tanitoluwa won first place in the New York State Scholastic Championships tournament for kindergarten through third grade. With a huge grin and a trophy almost as big as he is, Tanitoluwa poses for a picture for his coach Russell Makofsky. Starting from last year, a lot has changed for him, but the future seems bright for this young and enthusiastic chess master. Tanitoluwa didn’t have it easy – his Christian family left Nigeria two years ago, out of fear from attacks on Christians by Boko Haram terrorists. “I don’t want to lose any loved ones,” his father, Kayode Adewumi, told the media. In 2017, the Adewumi family arrived in New York and has been living in a homeless shelter there ever since. In New York, Tani was admitted to the local elementary school, P.S. 116, where he took a chess class and learned how to play. 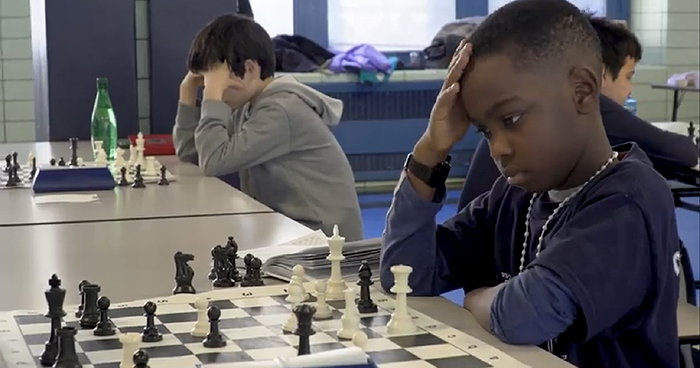 He liked the game so much, he prodded his mom, Oluwatoyin Adewumi, to ask if he could join the chess club. Russell Makofsky, who oversees the P.S. 116 chess program, agreed to take in Taki without paying the fee. A year ago, the boy took part in his first tournament and had the lowest rating of any participant. Today, he won the tournament undefeated. 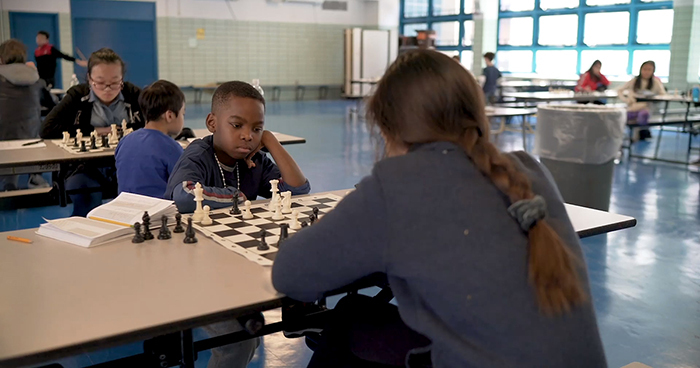 Although the family is having a hard time making ends meet, Tani’s mom still takes him every Saturday to practices in Harlem and attends all his tournaments. His dad gives the boy his laptop every evening so that he can practice. And although the family are devout Christians, Tani is allowed to skip Sunday church service if he has a tournament to attend. “One year to get to this level, to climb a mountain and be the best of the best, without family resources,” Tani’s coach, Russell Makofsky, expressed his astonishment to the media. “I’ve never seen it.” The coach has also set up a Go Fund Me account for the Adewumi family – in just four days people have donated more than $180,000 and one benevolent person even offered the family an apartment they could live in. While giving an interview to the NBC News, the coach said that straight after the filming of the show, they are going to pack their stuff and move into their first New York home.